A local County Down business which helps young children sign and communicate has been nominated in a national children’s awards. 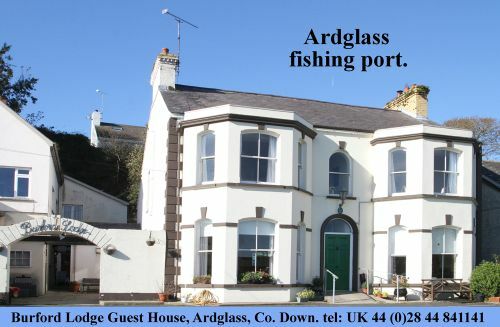 Sign2Music, owned by Deirdre McLaughlin from Crossgar, is a popular programme with young children and their parents. 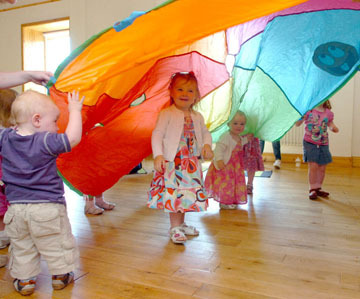 Young children enjoying the parachute at a Sign2Music session. The nominees for the prestigious What’s On 4 2013 Junior Awards in association with Konfidence have just been announced, and Sign2Music, owner Deirdre McLaughlin is amongst them, receiving nominations in three categories! This exciting awards programme, which is supported by ABC Magazine, is now in its seventh year and celebrates the best activities, classes, volunteers and venues from throughout the UK as nominated and voted for by the experts, parents and parents-to-be. Sign2Music is a nominee in the Best Local Activity for the Under 5’s and Best Party Entertainment categories and Deirdre McLaughlin, owner and local teacher, is a nominee in the Most Outstanding Activity Leader for the Under 5’s category. This means Sign2Music will now go through to the national voting stage! This year, the awards are bigger than ever, covering 20 different categories. A record 6,400 nominations have been received – 40% more than in 2012, so this nomination is a great achievement. Deirdre McLaughlin said: “Sign2Music is the only baby signing company to originate in Northern Ireland, supporting communication for ALL children via the use of signs and music. Classes are an enriched developmental and bonding experience, with a big sprinkling of fun!!! “Everything is aimed to enhance children’s development and relationship with parents, carers and / or teachers. Sessions involve LOADS of music, puppets and props to make this an enjoyable experience for all! Classes for babies and toddlers, parties, sessions in nurseries, schools and preschools are held locally. 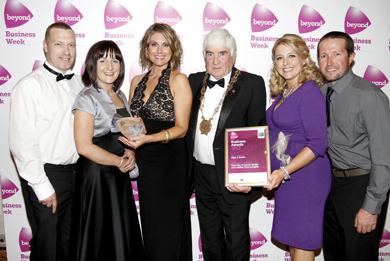 Deirdre McLaughlin, owner of Sign2Music, second left, pictured receiving an award at the Beyond Down Business awards last year. Each and every children’s activity, party venue, entertainer and volunteer from throughout the UK has had the opportunity to be nominated, and the number of nominations this year reflects the support from the nations parents for these exciting awards and their eagerness to reward the very best! Until 28 May 2013, Parents can log on to: http://www.whatson4littleones.co.uk/awards-voting-2013.asp to vote for their favourite from all of the nominees which have qualified. Please vote for Sign2music in Best Local Activity for the Under 5’s and Best Children’s Party Entertainment Categories, and for Deirdre McLaughlin in the Most Outstanding Activity Leader for the Under 5’s category. For more information on Sign2Music see www.sign2music.co.uk or follow Sign2Music on Facebook or Twitter. The winners will be announced by TV celebrity host Lucy Piper at Brighton Racecourse on Sunday 30 June. During the champagne awards ceremony the winners of the community awards will also receive special prizes for their groups. Everyone who votes or nominates will also be in with a chance to win two VIP tickets to the awards ceremony, meet the finalists, sponsors and VIP guests.